Hip-hop and it still don't stop. August 11 marks the 43rd anniversary of what is recognized as the day the Bronx birthed the musical phenomenon we now know as hip-hop at a party held at 1520 Sedgwick Ave.
Debuting what he named the "Merry Go Round" — a technique involving the use of two turntables with the same record playing on each to extend "the break" of a song — DJ Kool Herc introduced his small section of the world to a style that would soon circle the globe. Cindy Campbell, Kool Herc's sister, had rented the recreation room in their apartment building for $25 to put on a party to fund a Delancey St. shopping trip. The room could only fit about 100 people. 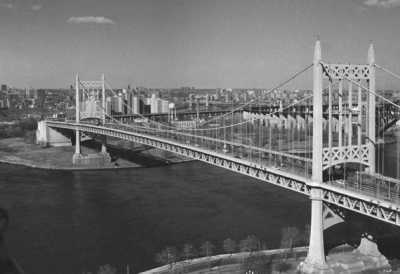 "It was only 25 cents for girls and 50 cents for the guys," Campbell told New York magazine. "I wrote out the invites on index cards, so all Herc had to do was show up. With the party set from 9 p.m. to 4 a.m., our mom served snacks and dad picked up the sodas and beer from a local beverage warehouse." 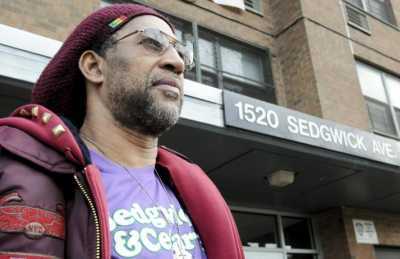 DJ Kool Herc outside 1520 Sedgwick Ave., recognized by New York as "The Birthplace of Hip-Hop." 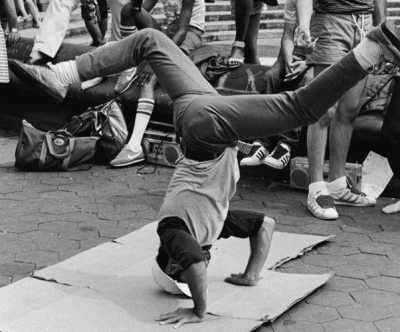 At the age of 16, Kool Herc set about acquiring records — his favorite songs including "Apache" by the Incredible Bongo Band and a variety of James Brown hits — and practiced his ground-shattering technique for most of the week before on his father's speakers. 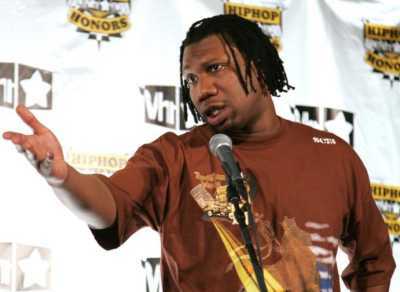 To recognize the occasion of this, legendary MC KRS-One shared memories of growing up next door at 1600 Sedgwick, attending hip-hop-fueled jams in the park and the current state of the movement. Where were you at the time of the now famous rec room party? I was technically living in the building next to Kool DJ Herc and Cindy, but I was too young to attend any indoor jams. I was only 8 years of age in 1973. But when some of these DJs like Kool DJ Herc came outside into the various parks around the West Bronx — one being the park that separated 1520 from 1600 — this is when I and other 8 year olds could hear and experience a live DJ. I don't remember seeing Kool Herc actually spinning records in the park, but I attended so many of these free outdoor jams in the very parks where Kool Herc started that I am sure I must have experienced at least one of Herc's outdoor jams. 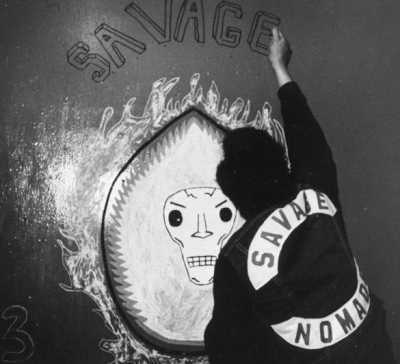 I do remember hearing the song "Apache" around this time playing in the parks, but no one was paying attention to the fact that we were actually birthing a new urban cultural movement. What was the atmosphere like at these jams? The early parties and gatherings that would eventually evolve into modern hip-hop were mostly house parties and outdoor block parties or jams. There were of course other venues like community centers and school gyms, but many of the early jams were attended only by the people of the jams' immediate neighborhood. I remember seeing martial arts being displayed, double Dutch being played, basketball games going on, food being served, weed being smoked, etc., all while loud music was being played. The atmosphere was one of freedom! I remember feeling like at the jam, I could finally be me. How did you hear about the party? Surprisingly, I heard about Herc's first jam around 1989, when I began to really investigate the origins of hip-hop, but it was in the movie "Rhyme and Reason," which came out many years later, which showed Caz explaining the origins of hip-hop. There is where I first saw (Grandmaster) Caz standing in the very park in which I grew-up in, saying that this is where Kool DJ Herc started playing the music that would birth an entire culture. What inspired you to become a hip-hop artist? It was the fact that I was there in 1973, this is what continues to inspire me. Why me? Why there? Also, keep in mind that when Herc played his first party at 1520 Sedgwick Avenue in the Bronx, the term "hip-hop" did not exist yet. We wouldn't get the term until Love Bug Starsky coined the phrase in 1977. Where do you see hip-hop headed right now? What young artists do you feel like deserve attention for carrying on what you helped start? I do see hip-hop headed in a healthy direction. Right now, however, our community seems to be split on almost everything with scandal, gossip, destructive accusations and poor journalism leading the way. But this is a good thing. This is how cultures grow and learn of themselves. However, I don't approach hip-hop as a music genre, I approach hip-hop as an international culture of peace and prosperity. What we started, what we called "hip-hop" - breaking, emceeing, graffiti writing, deejaying and beat boxing - these elements exist far beyond entertainment and money-making. Rap is something we do; hip-hop is something we live! Which young artist today lives like this?